UK poker players and their European counterparts have a much easier time finding reputable online poker rooms than their overseas cousins. With the passage of the SAFE Port Act (and with it, the infamous UIGEA) in the U.S., most of the top UK poker sites closed their doors to US players. Today, years after abandoning the U.S. market, Euro poker remains as popular as ever. On this page, we’ll provide a helpful list of the top UK poker sites. 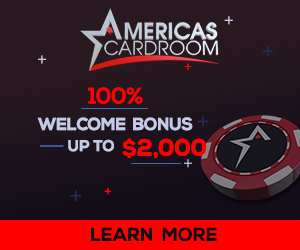 These are the sites avid poker fans like yourself consider the “best in class.” They offer a full roster of exciting tournaments, bonuses, and ring games. It’s worth noting these rooms are not only open for UK players, but also for poker fans living throughout Europe. A few have even managed to keep their doors open for USA players. Before we get to our list of Euro poker reviews, let’s briefly talk about taxes. In the U.S., players are required to pay taxes on their online poker profits. If you’re thinking that’s odd given that online poker is technically illegal in the US, you can understand some of the frustration. In the UK, there is no such requirement. It doesn’t matter if you win £10 at a cash ring game or £10,000 at a multi-table tournament. Earnings from gambling are never taxed (at least, not at the time of writing). A lot of USA players wonder whether they’ll need to pay taxes on their profits if they play at UK poker sites. The short answer? Yes. But we’re not accountants. If you live in the USA, check with your tax adviser. One last point about taxes… HM Revenue & Customs (HMRC) seems very concerned regarding money laundering at the moment. This is important in the context that you may be asked to prove that you earned your profits through UK poker sites. Even though it’s rarely a problem for Euro poker players, it’s worth mentioning. UK poker sites are given a wide berth to operate relatively free of government regulation and taxation. If you live in the UK or Europe, and are looking for a poker room you can trust, start with the list above. These Euro poker rooms currently represent the best of the breed.